I suppose when you’ve got a customer base as large as Blizzard and World of Warcraft’s, then you don’t just announce the launch date for an expansion in a press release. No, you make an event out of it. On August 14th, at the Ace Hotel in Los Angeles, Blizzard will be premiering the Warlords of Draenor cinematic trailer and revealing the launch date for the fifth expansion. I confess that I’m more excited about the trailer – a rarity – because WoW cinematics are, as a rule, a treat. Along with the date and the trailer, Blizzard’s Mike Morhaime, Chris Metzen, and World of Warcraft designers Ion Hazzikostas and Brian Holinka will be there for a live interview. The first episode of Lords of War, an animated mini-series detailing Warcraft lore will also be premiering at the event, so there will be quite a bit to watch. 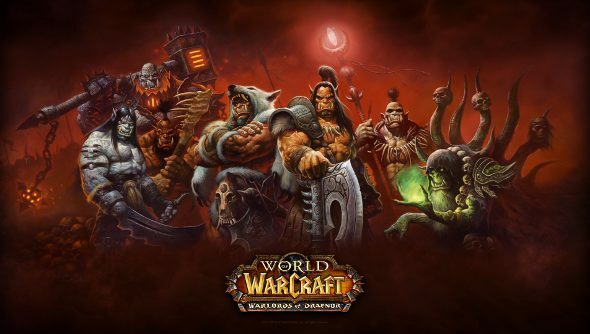 And if you attend, you’ll get a beta key for Warlords of Draenor to boot. If you can’t be there in person, there the event will be livestreamed over on the official site. So you will only miss out on the beta key. It kicks off at 9:30 PDT.